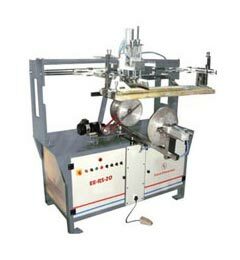 We are a reliable Manufacturer, Exporter and Supplier of Semi Auto Bucket Round Screen Printing Machine in Haryana, India. Our Screen Printing Machine is fabricated using cutting edge technology in order to ensure optimum quality. We can print different kinds of round objects of 1 ltr to 20 ltr such as food container bottles, electrical capacitor, paint buckets and many more. Buyers can acquire Semi Auto Bucket Round Screen Printing Machine from us at reasonable price.